For all intents and purposes, healthcare is a recession-proof industry, as the sector is in an almost constant state of growth given that it encompasses a number of different disciplines. One of them is medical supplies, and based on a newly released projection, sales of diabetes testing supplies are poised to proliferate well in the U.S. well into the future. The demand for single-use diabetes testing provisions are expected to jump by an annual rate of over 5.1 percent in 2022, according to a recent forecast by international industry research firm The Freedonia Group. This would translate to figures totaling in excess of $3.9 billion. While many people live happy and productive lives with diabetes, it's a condition that must be closely monitored to ensure glucose levels don't dip too low or high, depending on individuals' specific diagnosis. 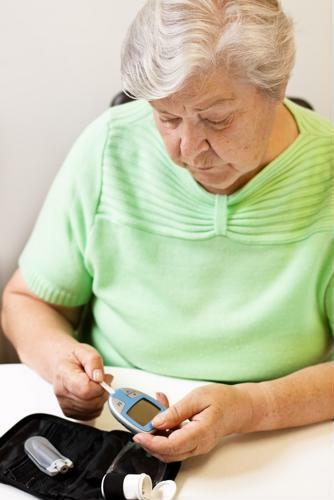 Diabetes testing supplies - such as glucose meters and testing strips - enable those with the disease to manage their symptoms from wherever they are without having to see the doctor. Diabetes is quite common, particularly in North America. According to the American Diabetes Association, around 30 million Americans had the disease in 2015, the most recent year in which data is available. That's the equivalent of just under 10 percent of the U.S. populace overall. The disease also affects children, with 1.2 million having type I, otherwise known as insulin-dependent diabetes. Each year, an additional 1.5 million Americans are formally diagnosed. However, of the 30.3 million who live with diabetes, about 7.2 million don't know they have it - perhaps being unaware of its symptoms, which may include extreme fatigue, blurry vision, excessive urination and thirst. The commonality of diabetes is part of the reason why the sales of supplies used to monitor and contain the disease are expected to remain elevated for the foreseeable future, The Freedonia Group noted in its report. Additionally, reimbursement rates that patients receive from their healthcare plans should remain stable over the next four years. As for medical supplies in general, those also are anticipated to remain solid, rising to an estimated total of $66.6 billion come 2022, the report said. This would be the equivalent of a 4.1 percent increase per year between now and then. Employment in healthcare has experienced a steady winning streak for virtually the entirety of 2018. In June, jobs in the industry increased 25,000, based on the most recent figures from the Bureau of Labor Statistics. During the previous 12 months, healthcare has tacked on 309,000 openings to America's bustling economy. This positive growth could also be seen in careers related to medical equipment. For example, the BLS states that medical scientists, who create and test healthcare devices, could see faster-than-average job growth in the coming years. The increasing number of patients with chronic conditions are among the reasons why a 13 percent increase in medical scientist job opportunities is projected through 2026.